1. Select "Books & E-books." Select the "Books & E-books" link from the main search screen on the library's homepage. 2. Enter your search terms. Input terms into the Esearch box and submit. If you are looking for a particular book, search for its title and surround it with quotes (e.g., "Harry Potter and the Goblet of Fire"). 3. Find your desired book. Look through the results to find a relevant book. 4. Select the title to get the detailed record. Select the book's title. This will take you either directly to the book's full text (in the case of an eBook) or to a detailed record showing its location, call number, etc. Make a note of the location and call number and see Finding Items on the Shelves for more information. 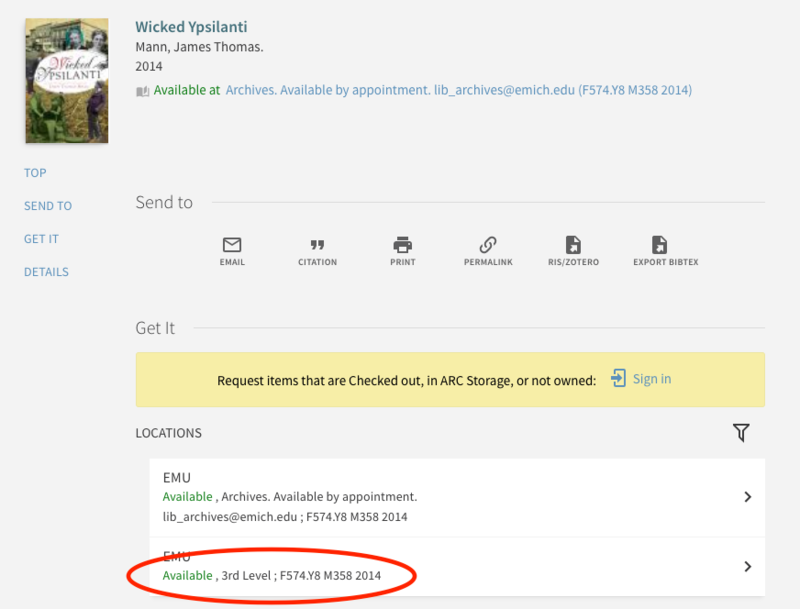 Most online resources (databases, books, articles) are available from off-campus to all currently registered EMU students, faculty and staff. Connect to online resources from the library web site. You will be asked to login with your NetID and password. Having problems? See Troubleshooting Access to Online Resources. Not a registered EMU user? See Alumni & Visitors for more information.